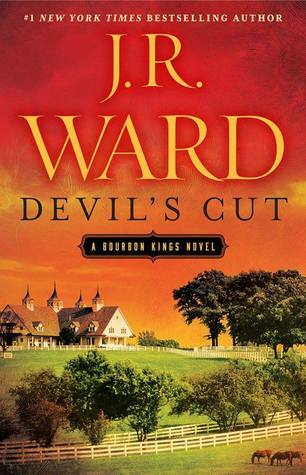 The Devil’s Cut by J.R. Ward is a 2017 Ballantine publication. I have loved, loved, loved this trilogy! The series was inspired by the author’s love for those scandalously delicious nighttime soap operas like ‘Dynasty’. This trilogy has been like a guilty pleasure, totally sudsy, very dramatic, and wildly entertaining. I loved the family saga which is centered around the Bradford's, an uber wealthy Kentucky family who made their fortune with their own brand of Bourbon. This last installment finds Edward, the eldest son, sitting in jail after having confessed to murdering his father. Facing a long prison sentence, Edward will have to put aside any chance he may have had with Sutton, who is the CEO of his family’s strongest competitor. Meanwhile, Lane has taken over the family business, struggling to find a way to keep the company alive after his father’s death. And then there is Gin- trapped in a cruel marriage, believing money defines her, who has lost, once and for all, the love of her life- Samuel T., but, is secretly working to leave a legacy for her daughter and is finally ready to step up and do what is right. I could have handled a few more chapters in this series, but if it had to end, this was the perfect way to tie everything up. I cheered for those who finally broke through, cried over inevitable developments, and sighed over those wonderfully tender moments between lovers and family. I have enjoyed all the juicy scandals, the biting dialogue and watching from the sidelines while this crazy mess of a family rose to the occasion, showing true grit and determination and proving they had more substance than what you might see on the surface, and that with or without money, this family is loyal despite the obstacles in their way. There are still many dark secrets and shocking revelations to uncover in this installment and of course it's not short on drama!! The author did an amazing job of wrapping everything up, giving each character a chance to make their own way on their own terms. At the end of the day, this series has been about family, about facing adversity, about making sacrifices for those you love, and how evil and malice is no match for true love!! The Bradford’s will land on their feet and will be stronger than ever before!! Overall, this is a rousing and inspirational conclusion to this amazing family saga!! Bravo, J.R. Ward, Bravo! !